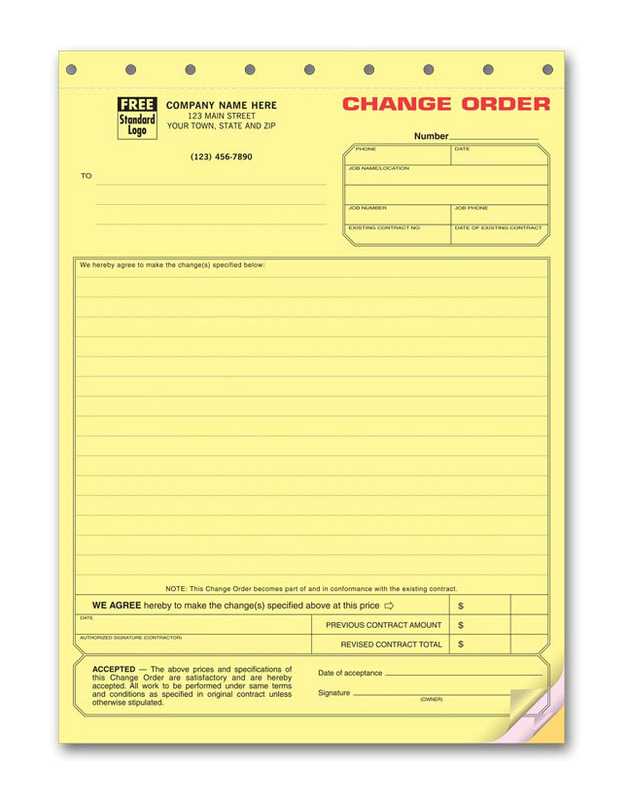 NEW Bright yellow form stands out to help prevent work delays and misunderstandings! Any changes in materials, costs, labor and more can be explained in detail on the form. Customer signature shows agreement. Form size is: 8-1/2" x 11"